S&S took a hard look at the entire line of Big Bore Kits for Harley-Davidson Sportster models and updated the kits to be more affordable. Each kit is still the same high quality liner wrapped in cast aluminum and each includes high compression pistons, rings, clips and gaskets. 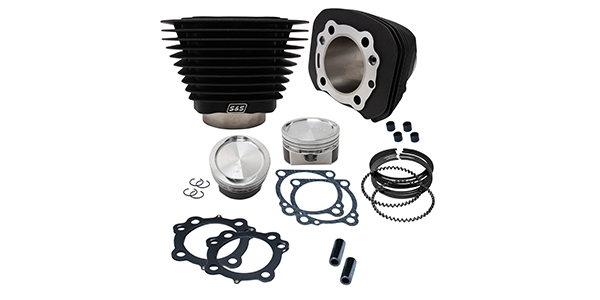 The Hooligan Kit still includes 482 cams, premium tappets and all of the XL kits are available in 1200cc or 1250cc. S&S offers $200+ in savings and kits are available for most 1986-2019 XL models.